It starts with the trope, Lady Rachel on her way to London, is stranded in the country by an unfortunate accident. They’ve made their way to the house in the distance, but not without slipping in the muddy lane. The Master was introduced here. He was somewhat annoyed at the disturbance, but willing to see that his guests were properly entertained. The housekeeper, Mrs Hobbes, leads Rachel and Lucy to their rooms to prepare for dinner The carriage wright makes a cameo appearance in a previous snippet. Last week saw the arrival of Rupert’s Uncle George and a hint at the complicated family history – a history that was not completely … harmonious. After a peek into Rupert’s history, George makes a somewhat unusual proposition to Rachel which was continued. The rain finally scuds off to the North Sea leaving a fine day – for riding and other things. Rachel, unsure of her own feelings, arranged for her companion to use the only sidesaddle. Meanwhile Rupert and Rachel discover a shared interest in music, which leads to a proposal. George has just returned from finding a magistrate to deal with a mob. At the ball a slippery character from the past makes his first appearance. George disposes of him, for the time being, in the this snippet. Rupert explained about his previous work in chemistry and Mr Oliver returned equipped with a search party. Rachel gets a start on clearing the mess, in the library, because she can actually read the titles. A Surprise Visit, continued for your delectation. Amelia reminded me to put a link to our book page. We actually are preparing books for publication and have some sort of plan – amazing as that seems. 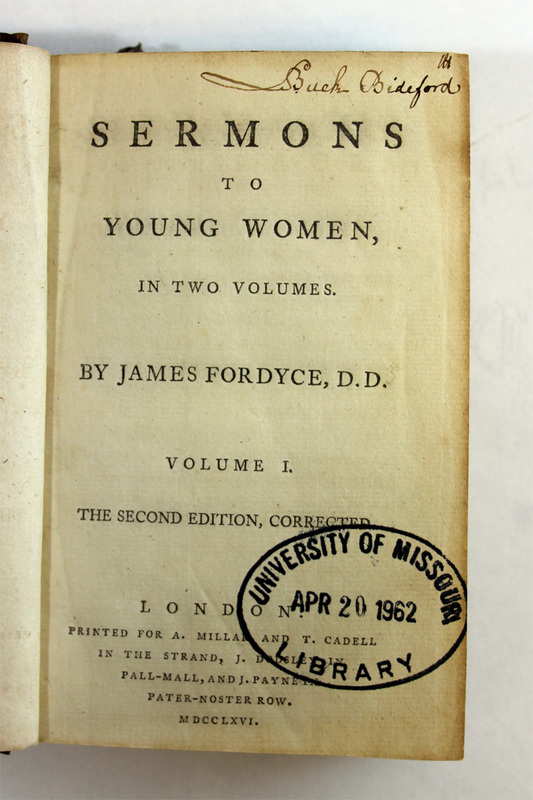 Fordyce’s sermons to young women show up in Jane Austen’s work and were a real book of rather dull exhortations to proper behavior. There is a reason Mr Collins is enamoured of them. 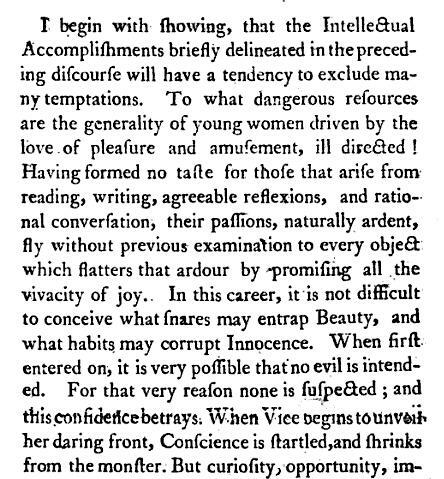 Novels, light fiction, and entertaining reading were not good for females, at least according to their male relatives. After all, you wouldn’t want your sister to look as dissipated as the young women in Mr Cruikshank’s cartoon, now would you? Interesting story about the names and I like your dialogue. Interesting excerpt, always enjoy the history tidbits you include! Thank you. Fordyce presages things like Bowder’s Family Shakespeare – where all the good bits are taken out to make it suitable for families. Sounds like there may be the beginnings of a friendship, now that sourpuss is out of the way. It could go that way, but there are alternatives. Thank you. Previous Previous post: Peas Potatoes and Gutter Cleaning. Next Next post: 800 miles in.